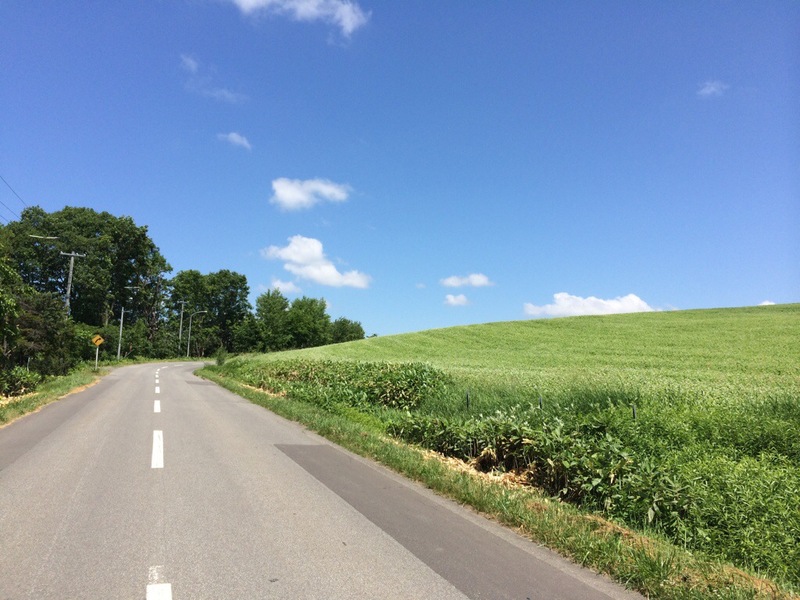 If yesterday I was a little disappointed by Furano then today I was literally dancing on my bike through the fields of neighbouring Biei. 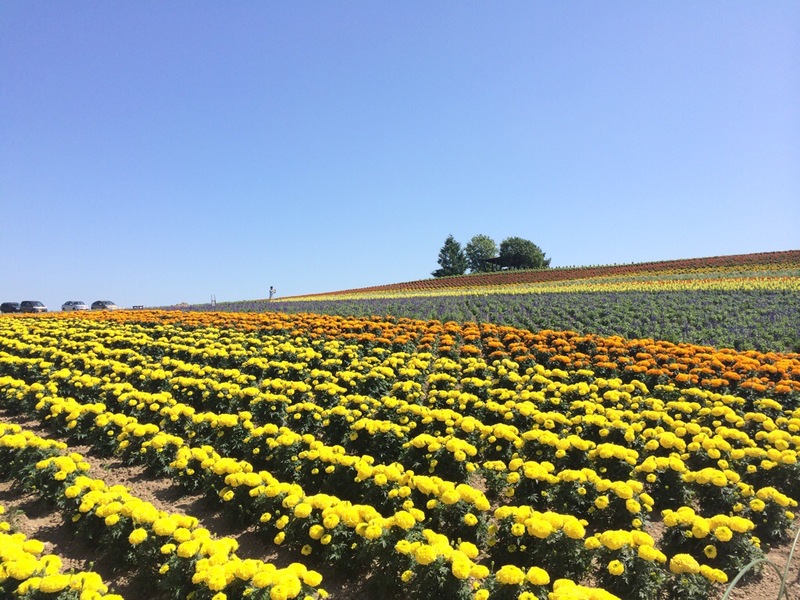 Leaving the flat rice paddies of Furano and its distinctively touristy lavender garden I gently made my way to Biei. Thankfully I didn’t have too far to go today so could take my time and explore the hillsides. 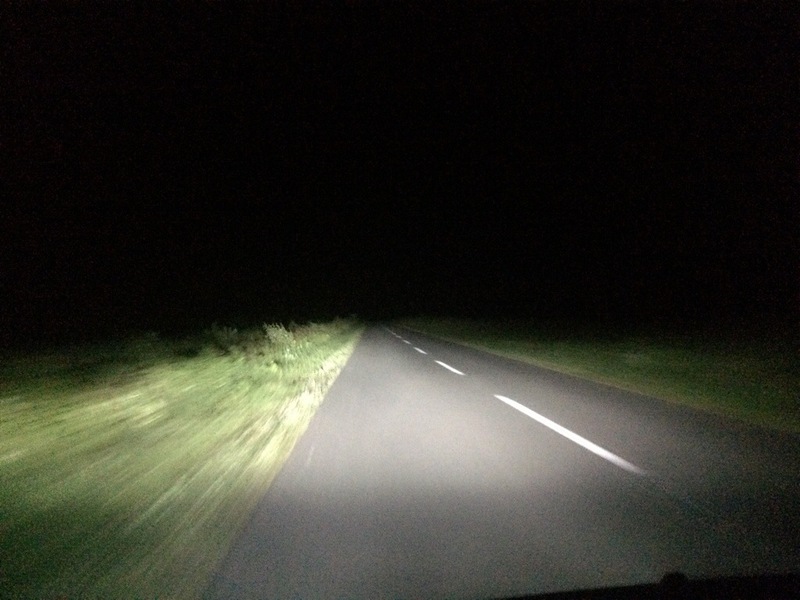 The route through these rolling fields is known as Patchwork Road because of the view from above. Of course, cycling, I wasn’t granted such a view but there were some gorgeous scenes nonetheless – and it did remind me of France (and Yorkshire a bit too). Signposts directed me to ‘famous’ trees that had featured in 1970s adverts for cigarettes and had had other such exciting lives. 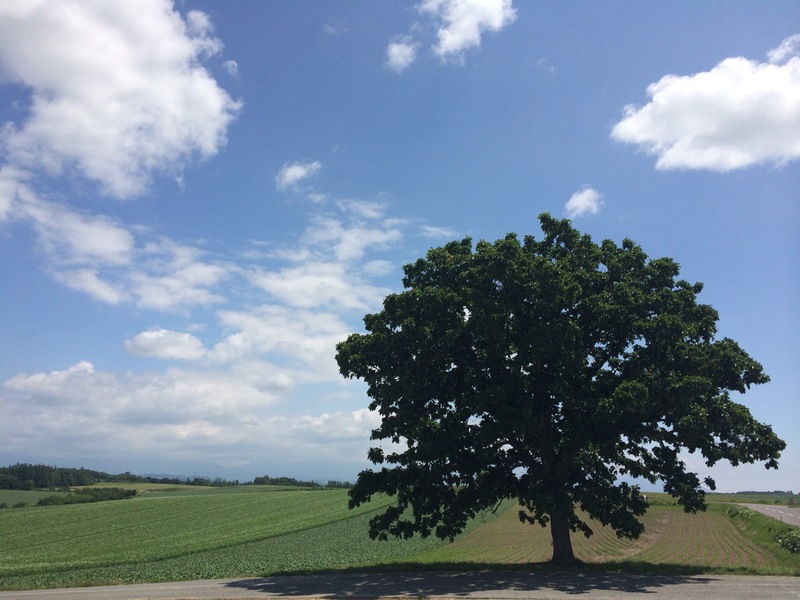 I’m sure the grand oak tree is delighted to be the face of Seven Stars Tobacco. 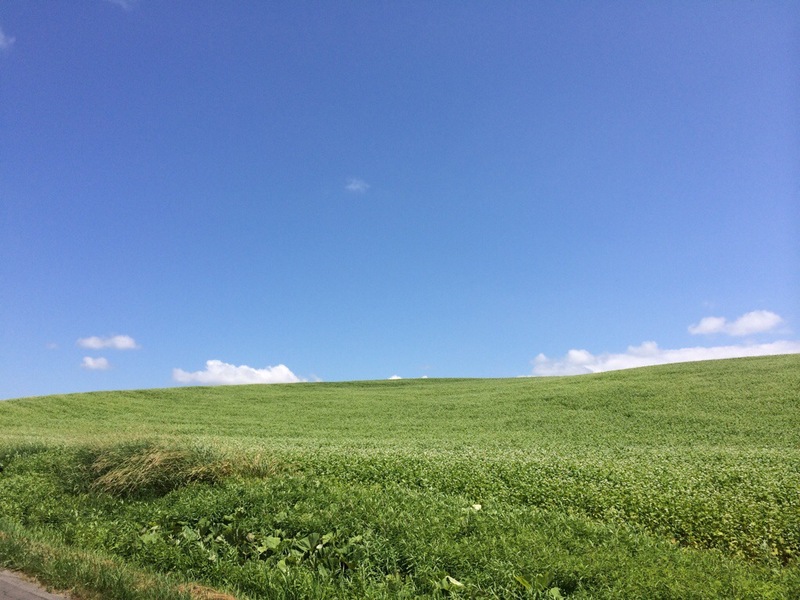 With a perfect sky overhead I took Windows-screensaver-worthy pictures at every turn. While munching on some pretty good corn-on-the-cob a fellow tourer rolls up. It is Nakano-san. 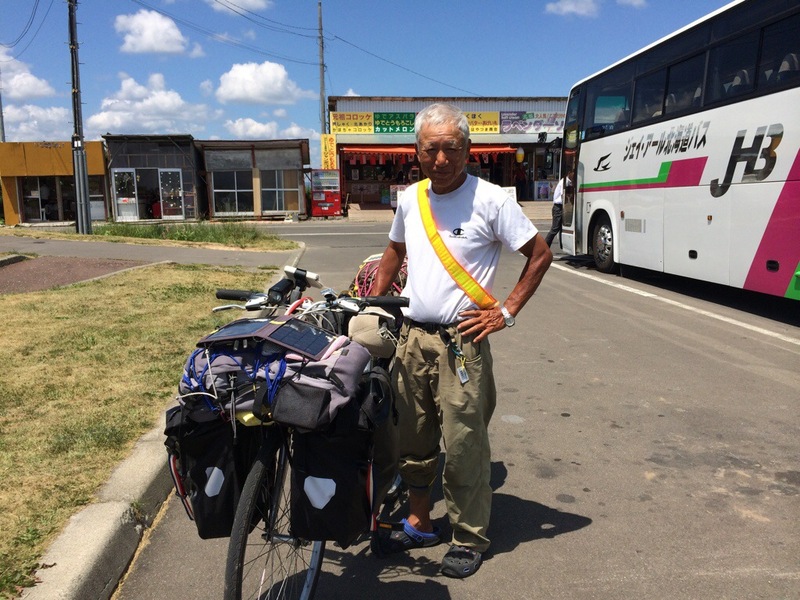 He is 67 years old and is cycling from his home in Kobe to Hokkaido and back. Today is day 40 if his trip, which he intends to last a total of 100 days. 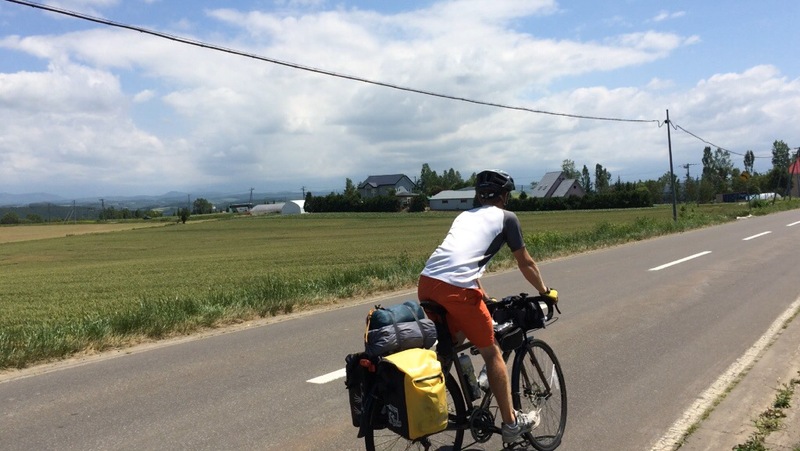 His bike is heavily laden with bulging front and rear panniers and a solar panel across the front connected to his sat-nav that has been tracking his route all the way. I admire his setup and revel in his courage and strength. He wears crocs and when he slips them off he has sun blackened circles across the top from the design of the shoes. I wonder if he is really a fox – famous in Japan for their shape-shifting abilities. He shares his cherries with me as he scours his map for that night’s campsite. 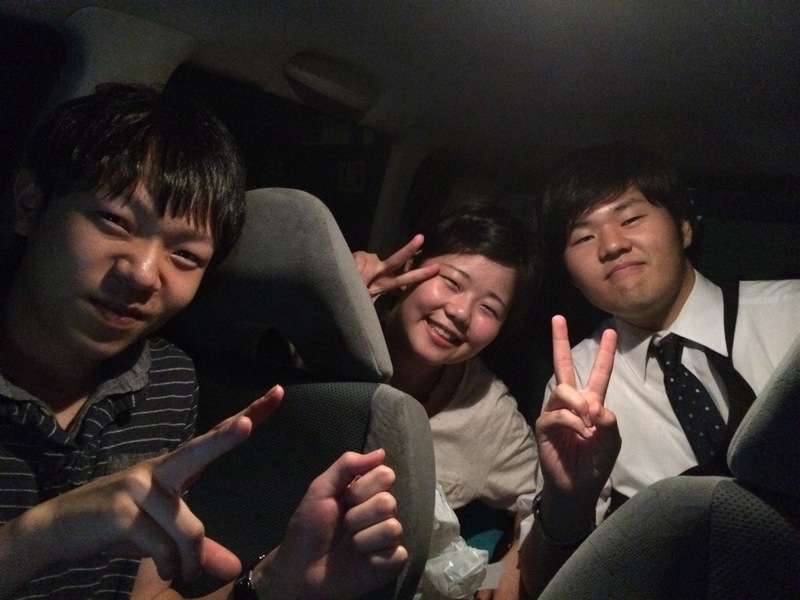 I wish him well and roll on to Asahikawa and my host, Kohei. Kohei and his friend Akane treat me to yakitoriabd then we take a drive through the pitch-black countryside to look down on the city by night. 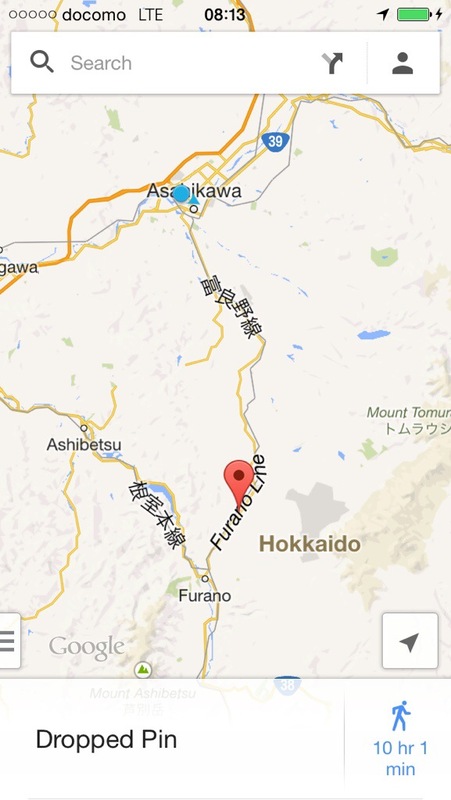 With the cold wind blowing I felt like Japan really does have a wild side, and it’s here in Hokkaido.